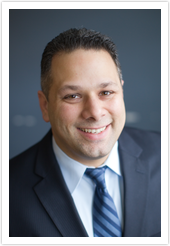 Dr. Maniscalco is a Prosthodontist: a specialist in cosmetic, implant and reconstructive dentistry. Dr. Maniscalco is committed to professional development; he regularly attends seminars and continuing education courses that keep him on top of the latest trends and developments in the dental field. Additionally, he shares his own expertise with patients and colleagues by presenting at lectures and seminars as well as teaching in the Postgraduate Prosthodontics Clinic at Columbia University. His extensive training and his 15 years as a practitioner position him to deliver broad and superior dental services ranging from basic cleanings to full mouth restoration. His reputation as an expert in prosthodontics and implant dentistry has attracted international patients as far away as London, and he works with patients from all throughout New England.